Anne’s latest Art & Astrology article made the top headlines listing on OpEdNews, a leading news website, just after it was submitted on July 13. The article remained among the most viewed stories on OpEdNews in the days following, and as of today it remains among the Top Life News headlines. 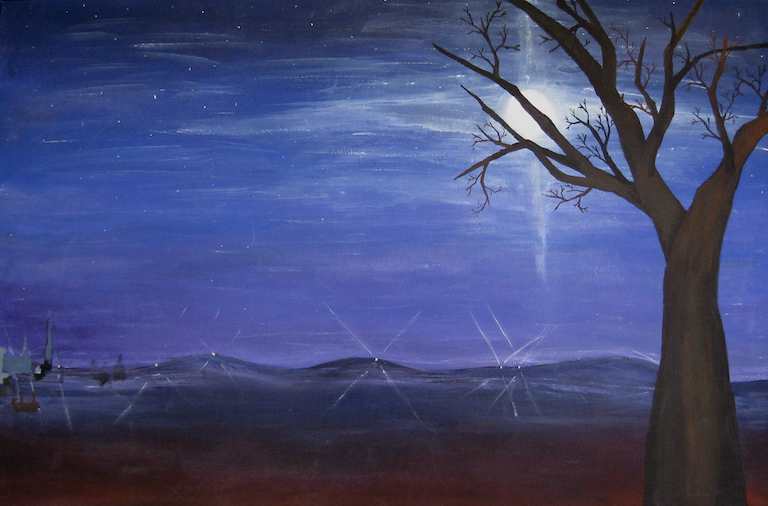 Titled Art & Astrology: Cancer, Blue Moonrise, and the Art of Illumination, the article explores a single painting: Blue Moonrise. The text brings out this work’s deeply symbolic and spiritual meaning by analyzing it from many perspectives: symbolism, artistic analysis, astrology, spirituality, and mysticism. This approach demonstrates how art not only inspires us through beauty of color and form but through content and meaning that uplift our souls and help us make progress on the spiritual path. Art & Astrology: Cancer, Blue Moonrise, and the Art of Illumination is the latest in Anne’s Art & Astrology series, which examines selected paintings from a spiritual and astrological point of view. The Art & Astrology articles complement her monthly astrology articles, which review the current month’s astrological sign from a spiritual and mystical perspective and look at key planetary placements occurring now to help readers make the most of their energies and spiritual opportunities and capitalize on astrology’s unfolding timing and unique beauty. Each astrology article also features Anne’s painting and photography, chosen specifically to harmonize with the month’s astrological sign or season. See the article now by visiting the OpEdNews article page for Anne Nordhaus-Bike.